Medium format film, digitally enlarged on photographic archive paper. "I have been documenting our family garden in Troja, Prague since 2009. 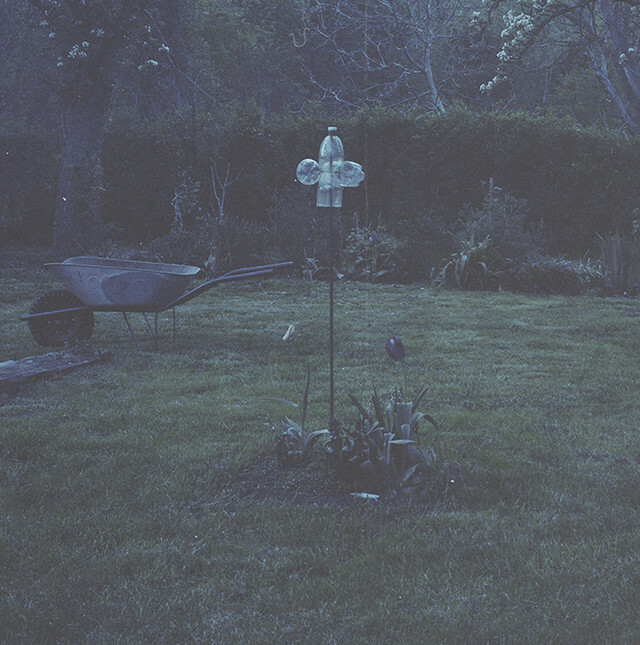 In this series I was coming to the garden at dusk after all my family members left. It was during a difficult period of my life and I did not see much sense in photographing anything at all. I simply needed to fill the time. It was too dark to see what is in the viewfinder and composition was the last thing I was interested in. 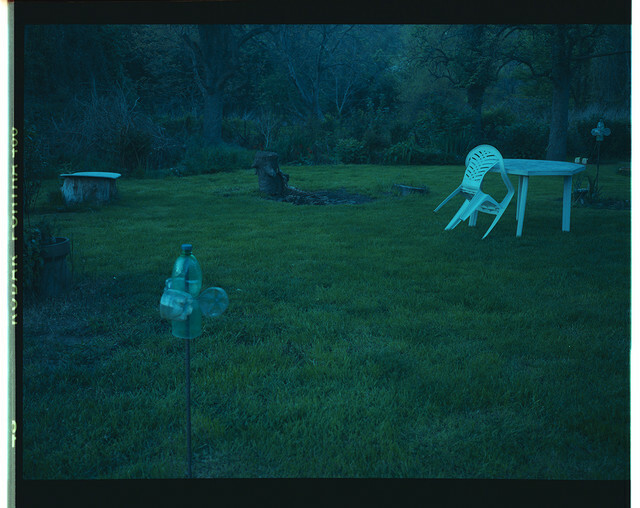 I pointed the camera to every corner of our garden and counted from seconds to minutes for the camera to do the job while I was standing there in the dark." I perceive photographic image as an embodiment of spatialized time, image that can give a sensation of time as a whole by being static and timeless. Instant moment that is not burdened by it’s past or future and that has the potential to exceed itself into the eternity of our internal experience.